The AIA/GOV Liaision Committees meet together since they often discuss the same topics. SCA members met with representatives from the City (Building Development Services and Public Works), City Utilities, Greene County, AIA, and MSPE. The Committee meets monthly on the fourth Thursday of the month with the exception of November/December combined to the first Thursday of December. The Chicken BBQ Committee is responsible for planning, cooking and serving the traditional chicken dinner as well as attracting sponsors. Any profits are shared with our partners, CSI and the Springfield Rugby Club. The SCA and CSI proceeds go directly to scholarships. The CU Liaison Committee meets bi-monthly or as needed with officials from CU to share and discuss topics of interest to the construction industry. The Developer of the Year Committee chooses the recipient of each year’s award from nomination forms submitted by members. The committee also developed the criteria to nominate and select the Design Team of the Year award. The awards are presented at the annual Salute to Construction Banquet in November. The Golf Tournament Committee is responsible for setting up and taking down Hole Sponsor signs and for the beverage distribution system during the Spring and Summer Golf Tournaments. This committee is not recommended for those who want to play. 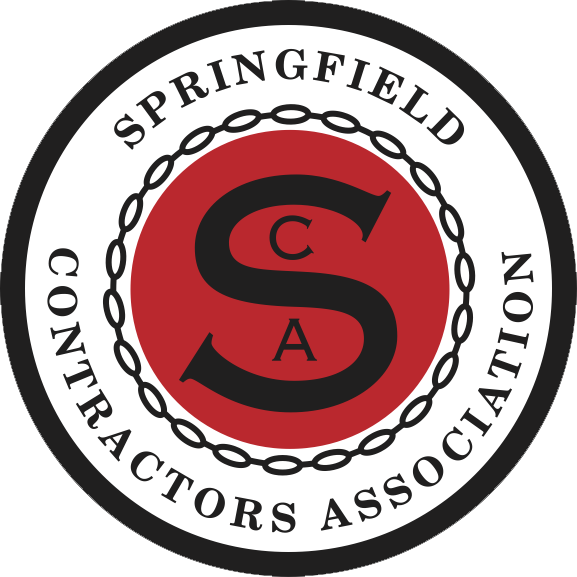 Generation Next SCA is the under 40 group of the Springfield Contractors Association. The Generation Next Core Group has monthly meetings and invites all SCA members to participate in social events and community service opportunities. The Marketing & Membership Committee is responsible for recruitment and retention of members. The Committee meets as needed to assist with promoting individual events and the SCA as a whole. The MSU Liaison Committee meets with the University’s Planning, Design and Construction department to share information about upcoming projects. Committee members are selected from volunteers and meet monthly the Tuesday before the SCA Board Meeting. The OTC Liaison Committee meets on a quarterly or as needed to offer advice and support to the college on construction issues. The Pig Roast Committee is made up of two parts: the planning committee and a group of about 40 volunteers to actually work during the event. The R-XII Liaison Committee meets monthly with the School District to offer advice and provide insight into the construction process for the benefit of the community. The Safety, Health & OSHA Committee has the goal of promoting safety awareness for all SCA members. Seminars and training sessions are outreach opportunities identified by this committee. This group has been on hiatus until a new Chair is appointed. The Scholarship Committee meets during the spring to select the recipients of each year’s awards through the application and interview process. The Executive Committee has directed this committee to raise the funds for the annual scholarships and the Scholarship Endowment Fund with Community Foundation. The Workforce Development Committee works to discover ways SCA can work with other groups to build our talent pipeline and train our workforce. The Committee also works with other groups such as OTC, HBA, the Missouri Job Center and the Chamber of Commerce. The Committee is currently meeting on the fourth Tuesday monthly.